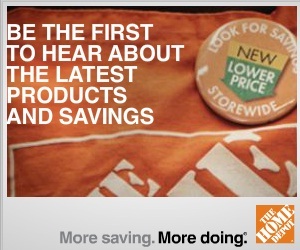 FREE Home Depot Newsletter (Coupons, Special Offers & Promotions) | A Savings WOW! Right now is a great time to get started on some home projects. When you sign up for Home Depot’s free newsletter, you will receive emails from them about special offers, coupons, and promotions to help you achieve your home project goals. Sign up to receive emails about special offers, coupons, and promotions from The Home Depot.